UBER In Las Vegas: Right? Wrong? Indifferent? Why Ovation? Location, Location, Location! After college, you started work immediately. You were climbing the ladder and giving all of your time to the job. Now that you’ve made your career advancements, you have the time to devote back to you. What do you do with all this free time? Find your passion and put your extra time into something that you love. Everyone has an interest. Whether you know it or not, you love something. The best way to find out what it is, is to try it out. Make a list of all the things you like and note the things that you don’t like. It can be things that you’ve done before and it can be things you’ve always wanted to try. Write it all down and start to narrow it down one by one. You know yourself better than anyone. You know if you like talking to new people, or if it gives you anxiety. If you enjoy peace and quiet, then solo hobbies would suit you better. You know if you enjoy being active, or if you want something more relaxed. If you don’t want to sweat, then consider becoming a movie buff instead of taking dance classes. Think about the types of personality traits that you have to see if the list of hobbies lines up with it. You’re more likely to stick with your new hobby if you hold yourself accountable. 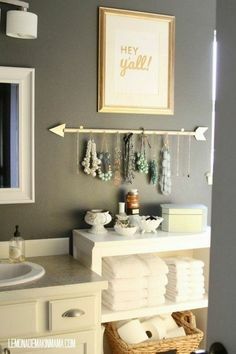 An easy and fun way to do this is have a partner who’s in on it with you. Generally, friends share similar interests, and they want to support their friends. Set up a group to go horseback riding together or organize a chess match. Whatever your group enjoys doing together is an excellent new hobby to pursue. The tricky part about making a thing into a hobby, is that it’s a time investment. If you go to a cooking class once, then it was an event, and not your hobby. You need to create a daily, weekly, or monthly schedule to consider something a hobby. Dedicate the time needed to become an expert in the field. Spend a little bit of time each week working on your new project. Over time, you’ll be surprised at how far you’ll come. You can’t have a hobby if you don’t have the tools. Supplies are the necessary equipment to making the task happen. You can’t paint without paints. You’ll not only invest your time, but also your money into getting the supplies to make your new hobby. Start off small, and as you gain more experience, you can add to your collection. Maybe you find out that art isn’t your passion. That’s ok! You’ve spend a few dollars on some supplies, but you didn’t go all out and break the bank learning that. You’re not going to be an expert after the first few tries. Expect a few setbacks and decide to stick with it. When you create realistic goals, you set yourself up for success later on down the road. If you start running, don’t anticipate getting a medal in your first marathon. It’s fantastic if you do! But, don’t be disappointed if you don’t. Enjoy each and every step of your progress and celebrate the victories that happen along the way. There’s always something more to learn and to perfect in every hobby. You can stick to one or two things and become an expert in it, or you can try many different things so you can be a jack of all trades. It’s all dependent on your time, money, and personality. 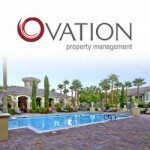 Ovation Property Management offers a selection of one, two and three bedroom luxury apartment homes with garages in Henderson, Summerlin/Lakes, North Las Vegas, South Las Vegas, Southwest Las Vegas and Las Vegas. Choose your next apartment online today and rent your new apartment from Ovation Property Management.